Yesterday, Apple launched Intelligent Tracking Prevention 2.0 for iOS 12 and Mojave (the new Mac OS). One of the largest changes for ITP 2.0 is the removal of the 24-hour cookie access window on Safari, which will affect advertisers currently using third-party cookie tracking. There are two main types of cookies currently used to track user behavior on websites, first-party and third-party cookies. A first-party cookie is placed by the domain that a web user is visiting. For example, if you visit www.metrictheory.com, a cookie created by www.metrictheory.com is a first-party cookie. A third-party cookie refers to a cookie created and placed on a domain from a third-party member (not created by the domain that appears in the browser address bar). For example, a cookie created by www.googletagmanager.com that appears on www.metrictheory.com is a third-party cookie. Previously, third-party cookies were only blocked after 24 hours had passed from a user’s last interaction on a website. This meant that third-party cookies could still track users on Safari within that 24-hour window. With ITP 2.0, however, this will no longer be the case; instead, all third-party cookies will be blocked. First-party cookies, which are placed by the domain that a web user is visiting, will still be tracked. But why is this important to Google Ads users? Historically, Google Ads has leveraged third-party cookies for conversion tracking. This means that if your Google conversion tracking is not updated, you will not be able to track conversions within Google Ads. Since the launch of ITP, Google has provided three solutions to continue cookie-based conversion tracking for advertisers. You can use any one of the three below in order to continue tracking conversions on Safari. Link your account with Google Analytics: Google Analytics utilizes first-party cookies. Cookies from GA are written based on the domain they are tracking. As a result, ITP will not prevent conversion tracking from working properly when your GA account is linked. Implement Google’s Global Site Tag (gtag.js): The new Global Site Tag has a similar code structure to the Google Analytics tag and will also leverage first-party cookies to collect information about users on your site. 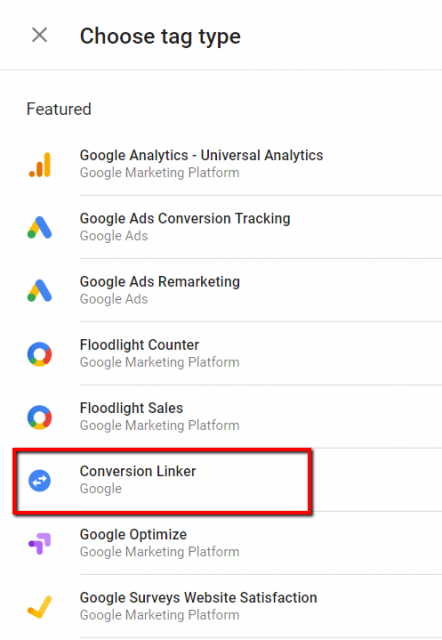 Implement the Conversion Linker Tag: If you use Google Tag Manger, you can enable this tag to effectively track conversion data without linking your account with GA or implementing the new Global Site Tag. What is the Conversion Linker Tag? The Conversion Linker Tag will detect ad click information through Google Click Identifiers (GCLID) and Urchin Tracking Modules (UTMs) existing in landing page URLs. Similar to options one and two, the cookies are then set to your own domain (first-party). This way, when a conversion occurs, it can be tracked correctly. 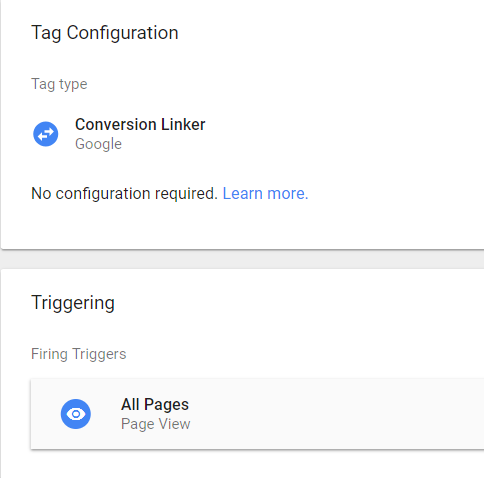 If you use Google Tag Manager to currently track conversions and need to add the conversion linker tag, here are some steps to do so. Don’t fret, it’s easy! Step 1: In Google Tag Manager, select Tags > New. Step 3: Select the trigger for which you would like the conversion linker tag to fire on. Google recommends that you select a trigger that fires on all pages views or specific page views where site visitors land after an ad is clicked. Step 4: Save and publish your tag configuration! For additional help on digital advertising topics, contact our team.